After a long break, Henrik LB5DH and I decided to start working on the SSTV project again. 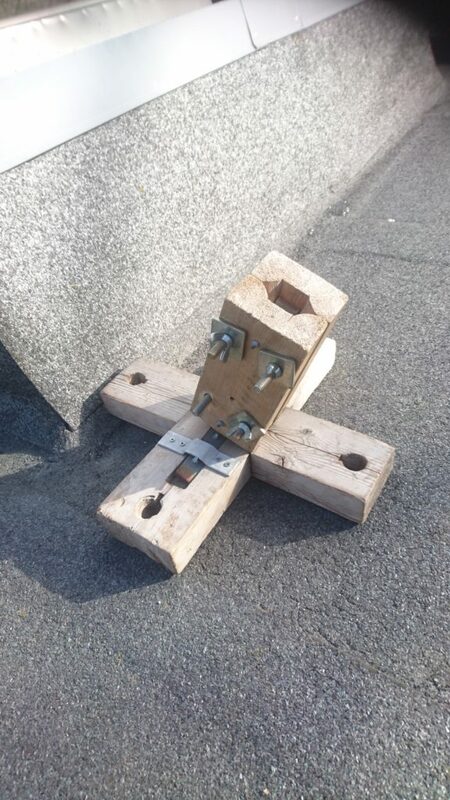 This time we wanted to look on how we wanted to mount and secure the antenna up on the roof. We found an old foot on the loft, which seems to work well for our installation. 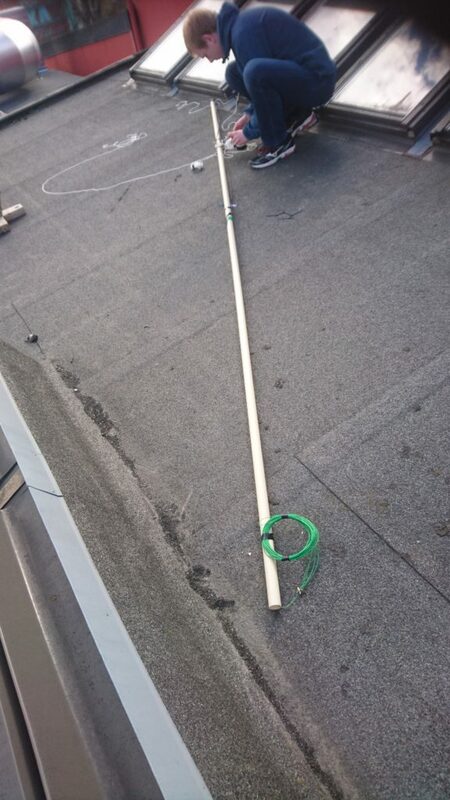 We later found that we could rest the antenna on the roof without it, but in the finished installation we will be sure to make use of it. For mounting the guy wires we drilled two holes through the pipe on the opposite sides of each other. This way we got four points for securing the mast. Luckily we already had structures on the roof to secure it to. The issues came when trying to tune the antenna. 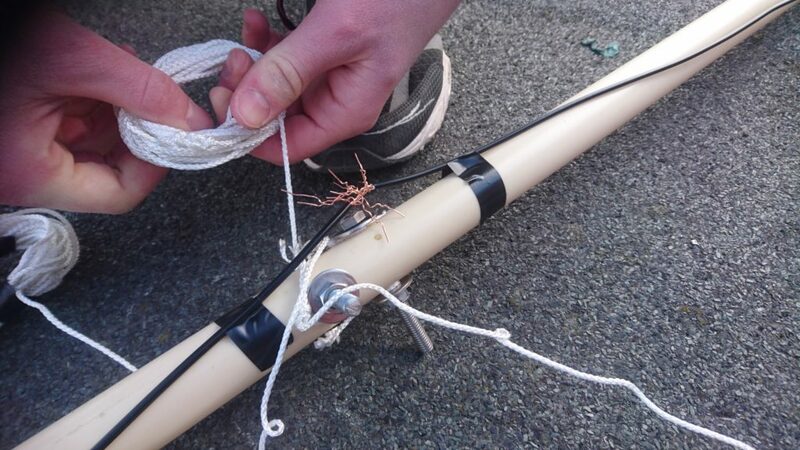 Even though the antenna tuned fine inside, it gave us different results with the best SWR around 100Mhz when we took it outside. This drop was the closest to 1:1 ratio we could find. 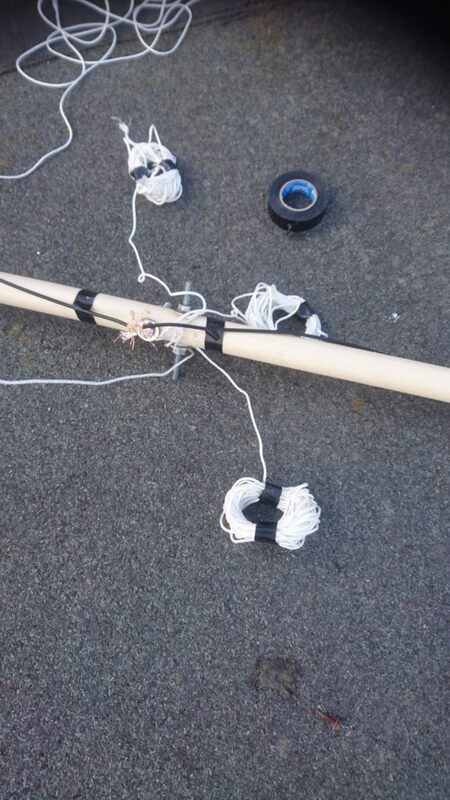 We tried adding more spools, extending the wire etc with not too good results. We did have a drop at about 3-4 in SWR around 10-11Mhz, so we seem to be close. It does seem like the antenna isn’t reading it’s full length, so we’ll have to do some more calculations before proceeding with mounting the antenna. We’d also like to mention that the SDR dongle has arrived, and initial testing has showed us that the direct sampling technique will work adequately for us. More info about this and the antenna is coming soon!